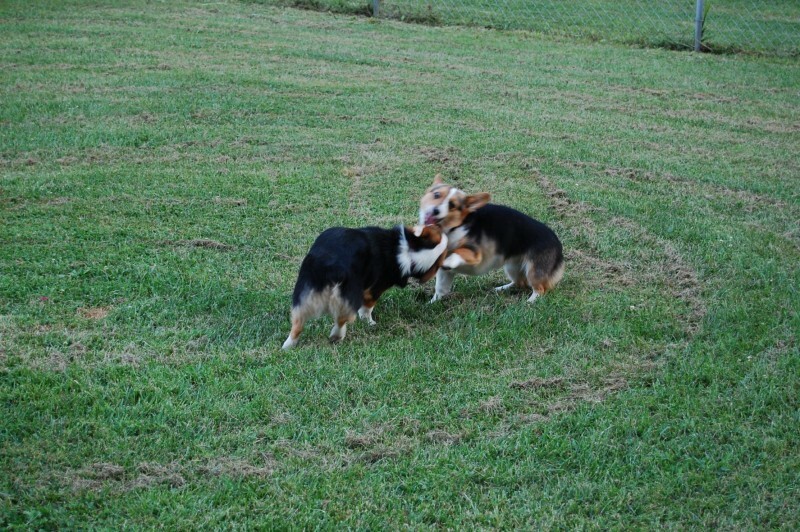 ← The Corgis are Loose! To celebrate the publication of Corgi Capers: Deceit on Dorset Drive, I’m sharing a short story to introduce you to some of the characters of Corgi Capers. Like the novel, the story targets middle grade readers (ages 8 – 12), but is something adults would enjoy reading to their children. Zeph had been watching Adam all morning. The boy was preoccupied. He kept pacing his room and going to the window to peek down the road. Zeph lay at the threshold of the door. He rested his head on his paws, but he kept his eyes raised. If Adam wasn’t going to relax, then neither was he! A scampering of soft paws on the carpet told Zeph his sister was approaching. Still, Zeph would not take his eyes off of Adam. “You’re always trying to think,” Sapphie groaned. She plopped down next to her brother and licked her rawhide bone. “What?” Zeph took his eyes off of Adam to look at his sister. But before Sapphie could tell Zeph her plan, Adam jumped up from his perch at the window. “He’s finally here!” Adam yelled. Sapphie and Zeph exchanged confused glances. Zeph turned back to his Person and couldn’t help but join in the excitement. Soon the room echoed with Adam’s cries and Zeph’s barks. Adam pointed out the window. Zeph jumped on the bed to get a better look, and Sapphie followed. The two of them barked and barked, for there in the driveway, stepping out of a car, was the biggest dog either of them had ever seen. 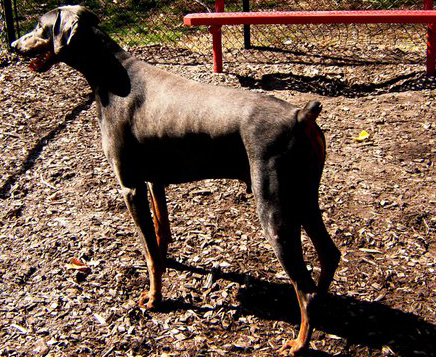 And as Adam told them excitedly, he was a large blue Doberman, and his name was Omar Blue. The new dog towered over the corgis. He seemed too big for the modest backyard. Sapphie’s body wiggled with excitement, but Zeph’s trembled with fear. Omar Blue stood stone-still, lowering his eyes until the little pups felt ready to approach. “Let’s go say hi,” Sapphie told her brother. “I don’t know,” Zeph said, cowering behind a tree. He stepped out, one paw at a time, until he was within sight of the big dog. Omar Blue lifted his eyes and offered a soft, friendly bark. Zeph startled but continued his approach. Slowly. “How boring,” Sapphie moaned. “Let’s play, play, play!” She charged past her brother toward Omar. “Hi,” she yelled, crouching in a playful way. Omar followed her lead, lowering his front legs as if ready to pounce. Sapphie charged first, and Omar let her pounce. “This is fun, fun, fun!” she yelled to her brother. Zeph kept his steady approach until he picked up the visitor’s scent. “He doesn’t smell scary,” he told himself. Omar barked reassuringly. Sapphie ran and leapt and tackled her brother, sending him barreling into Omar Blue. Even Zeph’s little tail wagged, and soon the yard became a tangle of ears and paws as the dogs enjoyed playing in the midmorning sun. Adam sat on his tire swing watching the corgis play with Omar Blue. He had never seen the pups so excited. He even wished Courtney were here to see them. But it was Saturday, and as usual she was at Park City Mall with her friends. “They sure like each other,” said a voice. Mrs. Pinkney nodded, but there was something sad in her eyes. “Everything okay?” Adam asked. He hadn’t seen her this upset since her house was burglarized last summer. Adam nodded and hurried to his computer. He popped on his fedora, thinking about what Riley Couth the Super Sleuth might do to find a missing cat. And then he got to work. “Where did your Person go?” asked Omar. The dogs had been playing so frantically; they only just realized they were alone in the yard. Zeph looked around fighting panic. “Silly Zeph,” Sapphie said. “While you two were busy being boys, Adam went inside.” She stretched out on the cool patio and motioned to the glass door. Zeph approached the door, and Omar followed. The two dogs cocked their heads to make sense of what Adam was doing. “It’s something at the computer,” Zeph said. “What’s a computer?” Omar asked. Sapphie’s ears perked up. “A cat? What kind? What color? Tell me, tell me, tell me!” She rushed towards her brother. Zeph shook his head, ignoring her. “I’ve never seen Adam play with a picture of a cat before,” Zeph said. This only seemed to agitate Sapphie more. She picked up speed, circling the yard like a race horse. Omar stepped into the yard. He’d seen lots of dogs in his day, but none so wild as little Sapphie. Even Zeph joined Omar. He was used to Sapphie’s behavior, but this was a bit much. “What’s she doing?” Omar asked. “Just let her get it out of her system,” Zeph said. “Omar, Omar, Omar!” Sapphie managed on one of her passes. “Yes, yes yes?” Omar asked calmly. “Sit, sit, stay!” Sapphie shouted. To humor the pup, Omar obeyed, curious to see what Sapphie had planned. 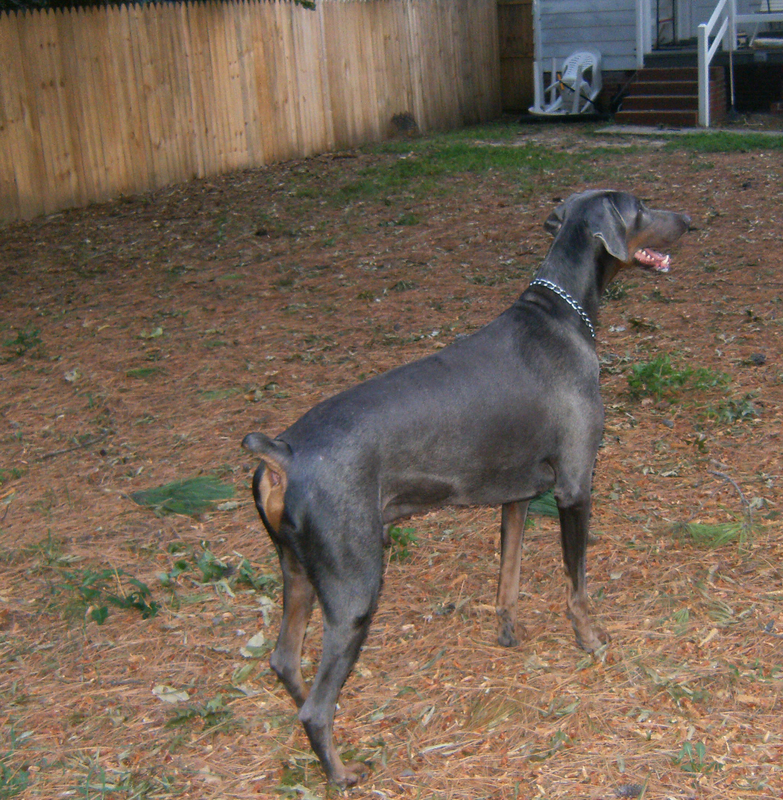 With a final yelp, Sapphie charged at the Doberman and used him as a ramp, springing off his back to clear the fence. For a brief moment, Zeph saw his sister suspended against the autumn sky. Then she toppled to the ground. Uninjured, she took off without another word. But it was no use. Sapphie had already run out of sight. Zeph ran to the back door and barked wildly. Omar joined in, and soon Adam opened the glass door just a sliver and peered out at the dogs. Adam closed the door, leaving Omar and Zeph alone in the yard. “He didn’t even see that Sapphie’s gone,” Zeph cried. He plopped down on the ground and whined. “She’s my sister, and I promised our dad I would always watch her. But now she’s gone, and I don’t know how to find her. By the time my People find out she’s missing, it might be too late.” He thought about all the trouble Sapphie had gotten into in her young life. With that, Omar Blue took a running start and charged the fence. Then, just before impact, he leapt into the air, clearing the fence with ease. He didn’t look back, but he charged straight into the distance, following the scent of his new friend Sapphie. When Courtney returned home from the mall, the house was unusually quiet. “Sapphie!” she called, clapping her hands. Frantic barking in the back yard made Courtney think otherwise. She opened the back door expecting to see three playful dogs. But instead she found only Zeph. Adam was enjoying the cool wind on his face as he biked through the neighborhood looking for places to put his LOST CAT posters. It was nice to be alone for once—away from Courtney’s gossip and Sapphie’s antics, from his father’s preoccupation with work and his mother’s obsession with grammar. He was gliding along, lost in his thoughts, when he heard the rush of a car behind him. The car slowed, and Adam pedaled to the side to let it pass. But instead it came to a halt. Adam’s heart raced for just a moment, wondering who it could be and why it must be stopping. He had flashbacks of last August. But he shook it all away when a familiar voice shouted his name. He was answered by a happy bark, and a tricolored head with tall brown ears popped out of the window. Courtney opened the car door and handed Zeph’s leash to Adam. “Hurry,” she said. Sapphie’s scent meandered through the neighborhood. Under hedges and around fences. Her short legs made it difficult for her to jump over things without assistance, so she took the long way around. But not Omar. He was on a mission, and there could be no delay. He jumped heroically over fences and hedges. He let nothing stop him, not even when he saw people watching him from their windows and yards. He smelled lots of new scents that would have made any other dog stop to investigate. But not him. He was Omar Blue, and he had a job to do. And so he ignored all the interesting smells and focused only on Sapphie. Before long, he followed Sapphie’s scent to a clearing. It was a shaded area underneath some tall pines. Underneath the trees were a series of wooden tables and benches that looked like they could be used for a picnic. But there were no people there. Omar paused for a moment, sitting on a soft bed of pine needles. He thought how comfortable they would be to nap on, but he shook his head. He wasn’t here to nap. He was here to find Sapphie. His nose started up again, and before long he caught Sapphie’s scent. But there was something else that he smelled, too. Something nearly overpowering. Something that smelled like—a dumpster. So Omar followed his nose until he caught sight of the green dumpster. It was near the shaded picnic area and directly behind a store. It was large and situated near the curb. And that’s where Omar found her. Sapphie was lying on the pavement near the dumpster. Her head was pushed down into a sewer drain, and her stubby little tail was sticking out in the air, wagging furiously. Omar barked to get her attention, but Sapphie could not turn around to greet him. Her little head was stuck. Adam held Zeph’s leash tight and hurried through the neighborhood on foot. “Zeph, find Sapphie,” Adam said. He pulled his Riley Couth fedora over his brow. Zeph’s nose twitched frantically, but he just couldn’t find Sapphie’s scent. Mrs. Hollinger had let him out of the car at the far end of the neighborhood—and Sapphie had run off in the opposite direction. Zeph barked in frustration. Zeph barked again, pulling Adam. “Good boy,” Adam called from behind the leash. Zeph couldn’t help wagging his tail, but with all his anxiety he couldn’t stop barking. It wasn’t long before this caught the attention of some neighbors. “Sorry!” Adam yelled as he hurried by. “Another crazy dog!” said a woman loading some bags into her car. “Must be a full moon tonight,” said a man walking down the street with his son. Adam slowed and adjusted his hat. It was strange that everyone he met was making a comment about dogs. “What do you mean?” he asked the man. “Two other dogs?” Adam asked. The man pointed down the street toward Molly’s Ice Cream Parlor at the end of the neighborhood. Adam barely had time to thank him, for he was already halfway there, grabbing tightly on Zeph’s leash as the two of them charged toward Molly’s and the scent of the missing little pup. Adam and Zeph raced all the way to the other end of the neighborhood. When they got to Molly’s Zeph stopped short. “Is she here?” Adam asked. He peeked into the front door of Molly’s. There were bins of colorful candy and sprinkles, lists and lists of the dozen flavors offered, and colorful tubs of ice cream. But there were no people to be found. Zeph pulled the other way, and Adam followed. They walked around Molly’s to the picnic area in the back. And that’s where Adam saw them. Mr. Kirkland, the owner of Molly’s, was kneeling on the pavement. He had a portable phone in one hand and had the other hand partway down the sewer. Omar Blue sat next to him, eyeing the situation intently. The dog looked up only briefly and then turned his eyes back toward the pavement. Mr. Kirkland saw Adam and Zeph, and he looked relieved. “Sapphie!” Adam gasped. He rushed over and handed Mr. Kirkland Zeph’s leash. Sapphie stopped growling long enough to consider the offer, but she kept her head firmly in the sewer grate. “Well can’t you call your house?” Mr. Kirkland asked. Zeph cried and pulled toward his sister. He barked and barked, but Sapphie wouldn’t budge. Omar had been quietly watching the whole time. He looked from Adam to Zeph and back again. Then he barked once. Zeph sat at Adam’s feet and whined. But Omar wouldn’t have it. He barked once more. Omar stood on all fours. Then he paced back and forth. He stuck his nose down the sewer with Sapphie, then he trotted back over to Adam. Back and forth, back and forth. Zeph cocked his head. “Omar, I’m trying to figure it out,” Adam said. Omar trotted to Adam once more. He sat and barked. But Adam still didn’t understand. Omar knew he had only one choice left. His owners had taught him not to jump up on people, but in this case Omar had no choice. As gently as possible, he jumped onto Adam, resting his two front paws on Adam’s shoulders. Adam nearly dropped Zeph’s leash from shock. Omar was so tall, he towered over the boy. Compared to the corgis, Omar was a giant. Adam froze in place as, very gently, Omar reached for the flyers Adam had tucked into his hat. The dog grabbed a mouthful of them and returned to a sitting position. Then he dropped the flyers on the ground, barked once at Adam, and then ran to the sewer. Adam readjusted his hat and scratched his head. What was Omar trying to tell him? Zeph caught on before Adam did. He clawed at one of the flyers. Then he barked at Adam. With that, Sapphie popped her head out of the sewer and wagged her tail, barking at everyone. “Alright, little pup,” Mr. Kirkland said, holding up his portable phone. “Help is on the way.” He turned to Adam. “I’ve never seen a dog so worried about a cat before. The two of them must be good friends,” he joked. Later, Omar and Zeph piled into the back of Mrs. Hollinger’s van. They watched the world pass by the window—tired, but happy. Adam and Courtney sat in the middle, more relieved than anything else. But the happiest section of the van was the front: there, in the passenger seat, sat Mrs. Pinkney, cradling her little gray cat Shadow. And seated on her lap was little Sapphie, who nuzzled the cat from time to time. She was happiest of all, for not only had she gotten a whiff of the awesome-smelling dumpster, but she had saved her friend to boot. 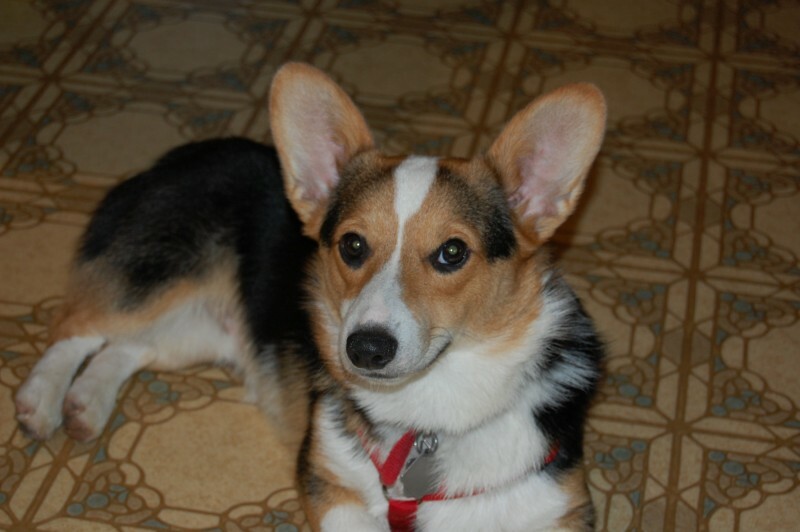 Congratulations to the winner of Corgi Capers! Stay tuned for more contests in the future! You can find Corgi Capers: Deceit on Dorset Drive at www.dwbchildrensline.com or Amazon. Posted on January 29, 2012, in Uncategorized. Bookmark the permalink. 23 Comments. Very nice, Val! And good luck to those who are playing, you’re going to love the book! I’m Omar Blue’s people mom. Loved “Shadow of Hope.” Omar couldn’t wait to get back home, then to his Pack to tell them about his lone adventure with Zeph and Sapphie. Those two little detectives are really something. Congratulations with “Deceit on Dorset Drive,” Can’t wait to read it. Never too old for fun reading. Congratulations Val! Corgi Capers sounds like a fun read. I just loved your story! I’d like to read more of the Corgi’s. Val, this is fantastic! I often ‘talk’ for my dogs, pretending to know what they are thinking. I have two mixed dogs and a neurotic wiener dog named Max. He sounds a lot like Zeph. Thanks for the preview. Your book is going to do wonderful! Awww, I want the book! I love Corgi Dogs and these are the cutest. Don’t you love how they listen and talk with you? This is a sweet story and I’d love to have it to read to my grandson. Jake deals with a Great Dane that thinks that he’s part of the litter and when he gets tired of “beating” the little human up or if he’s tired of Jake playing with him, well, Quinn just puts his big paw onto top of him and holds him down! Well I know I’ll be disqualified, but WOW–look at that story excerpt! You never cease to amaze me! Corgi Capers sound terrific and I loved seeing Omar again–he seems to get around a lot these days! Thanks for the comments, everyone! 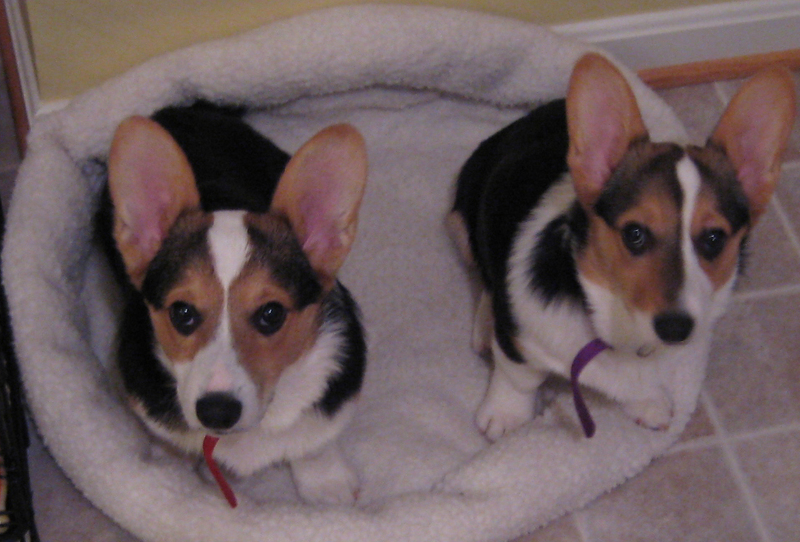 To celebrate the anniversary of the day they “found” their person, the corgis have decided to give away a second copy of their book tomorrow, February 7. They’ll randomly choose a winner from comments posted before 11:59 p.m. (U.S. Eastern time) on February 7. Good luck! I love this, very excited to get your book, of course you know who is really going to get it. To celebrate the anniversary of the day they found their people, the corgis have chosen a winner to receive a free copy of Corgi Capers: Deceit on Dorset Drive. They used Random.Org to choose a number…. and the winner is… Alan! Congrats! Thanks to all the commenters, and remember that the official contest ends on Feb. 15, so you still have one more chance to win! Stay tuned!